With 3 years under his belt, Diess has the the right combination of an outsider's perspective and an internal track record having delivered on difficult cost cuts. MUNICH/FRANKFURT -- Word of the surprise management shakeup at Volkswagen Group arrived in a press release that bore the telltale signs of haste. No replacement was named for CEO Matthias Mueller, and it wasn’t even clear he was being removed. Investors were only told of unspecified developments that “could also include a change” in the CEO’s position, and that Mueller was generally willing to go along. Now that Bloomberg News and others have reported that Mueller will be replaced by Volkswagen brand CEO Herbert Diess. Now Diess faces a long to-do list. And the next question is why now? Mueller has done a solid job of steering the world’s largest automaker out of the diesel-cheating crisis: profit is up, the stock’s rebounded to its pre-crisis level, and the automaker is well under way to start offering a suite of electric and self-driving cars. It’s also creating a separate brand, Moia, to develop new services like ride-sharing apps. Still, a number of PR bungles have dogged Mueller’s tenure, and he has grown increasingly uneasy and visibly displeased during public outings. “It has been apparent to us that the VW Group CEO didn’t particularly enjoy his job,” Evercore ISI analyst Arndt Ellinghorst said in a research note. 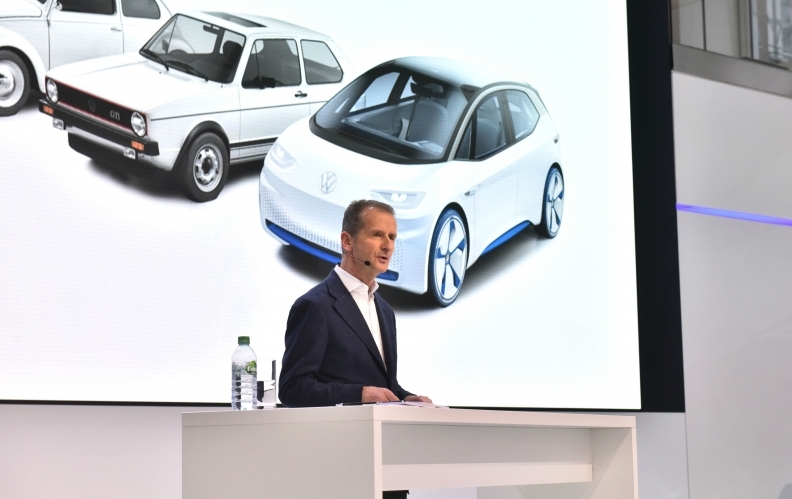 Diess, the analyst said in a note, is better suited to the supervisory board’s preference for a CEO with operational responsibility at the VW brand, and he will do a better job cleaning up outdated businesses and making the right investments going forward. A disastrous U.S. radio interview where he appeared to deny VW cheated on diesel emissions. Questions about Mueller’s role in a car accident in South Africa, where he was a passenger. At the Geneva car show in March, Mueller appeared at odds with the rest of the industry, predicting a “diesel renaissance” as sales tank. Delivering on the industry’s largest electric-car push while keeping a lid on spending. Paving the way for a potential initial public offering of the truck division, along with other structural moves to decentralize Volkswagen’s sprawling stable of 12 brands. The company could reconsider the potential sales of non-core business units like Ducati, Renk, and the power engineering division. Cultural change: opening up Volkswagen’s insular corporate culture and getting away from a rigid decision-making process that slows the company down. Diess must also contend with powerful constituencies, including a unionized workforce that has gotten in the way of change in the past. Boost software development capabilities and expand in mobility services, as part of the group’s Moia brand. Manage remaining fallout from the diesel scandal, as thousands of investor lawsuits still pending and prosecutors continue to look into the roots of the scandal.